1. Do you have to be a member of Tarotpsych to participate directly in these group experiments involving synchronicity, symbols, and consciousness? 2. Can anybody join Tarotpsych? 3. Can you participate if you’re not a therapist, artist, professional, grad student, psychic, health care provider, New Ager, or published author? 4. Can we access the original instructions, materials, and responses of previous experiments in the Tarotpsych archives? 5. 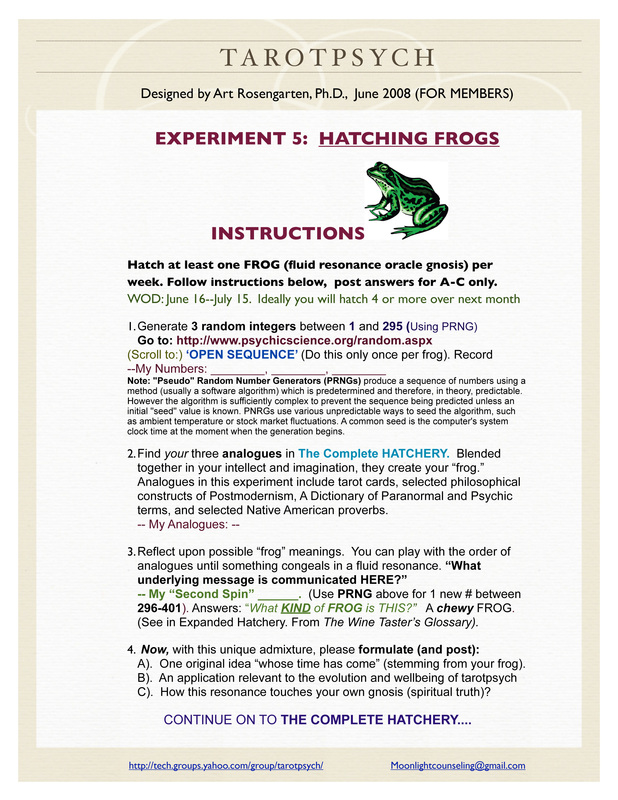 Are these Experiments posted on Art’s blog more-or-less samples and excerpts of actual Tarotpsych postings? 6. Is this Yahoo Group free to join? Easy to set up?